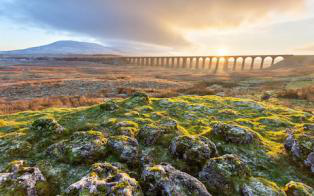 The sheer beauty of the landscape has inspired generations of painters: from John Atkinson Grimshaw’s moonscapes to the Victorian artists of the Staithes Group to David Hockney’s Yorkshire Wolds. It has three national parks, a wild and rugged coastline, and wonderful Victorian architecture,and the preserved terraced streets and mills of the World Heritage Site of Saltaire. 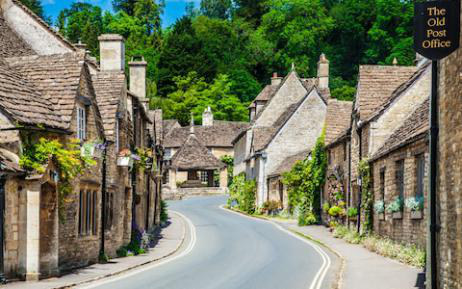 The glorious, honey-coloured towns and villages of the Cotswolds look as if they have strayed into the 21st century from another era. 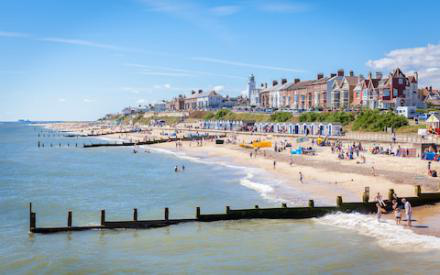 Covering nearly 800 square miles across five counties (Wiltshire, Gloucestershire, Oxfordshire, Warwickshire and Worcestershire), this region of 'wolds', or rolling hills, is the biggest of the 38 Areas of Outstanding Natural Beauty (AONB) in England and Wales. 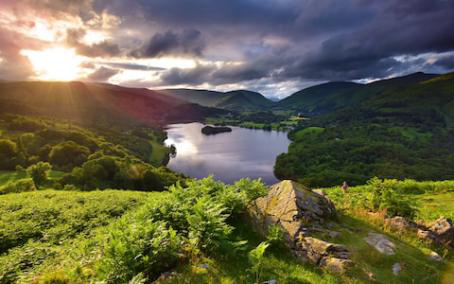 Visit the Lake District for Britain’s greenest countryside and grandest views. Covering a total area of just over 885 square miles, the Lake District National Park has been protected since 1951, and its picturesque patchwork of lakes, valleys, woodlands and fells make it one of the best places in Britain to get out and experience the great outdoors, whether it’s on a leisurely bike ride down country lanes or a day-long hike across the hills. 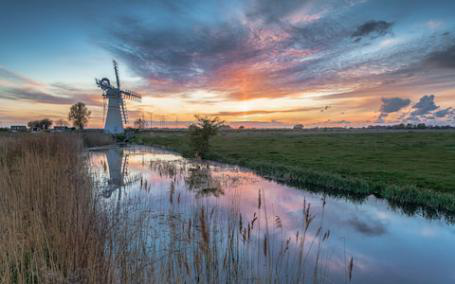 Norfolk is perfect for gentle cycling, walking or touring by car. 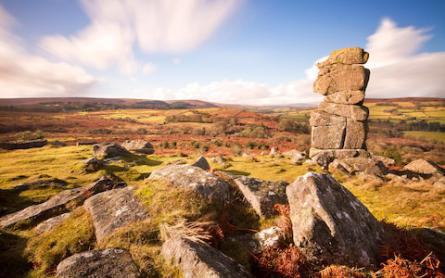 It has stately homes, ruined castles, medieval churches and half-timbered wool towns with fascinating museums make for enjoyable days out. 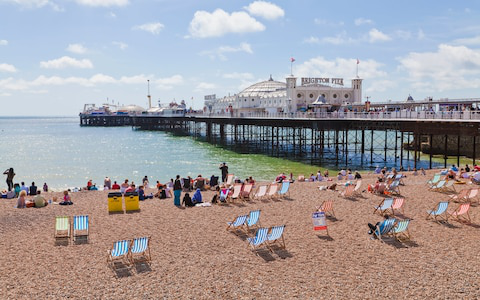 Even on the busiest summer’s day, there is always space for games, kite flying or a quiet family picnic on the beach. Bird life is astonishingly good, and coastal wild flowers include yellow-horned poppies and purple-flowering sea pea, while the unique wetlands of the Broads is home to more than 400 rare species, including butterflies, dragonflies, moths and snails. There can be few more cosmopolitan cities on earth. People pour in from across the world to visit, work or live within its ever-changing environs. Londoners are used to hoardings marking the progress of colossal infrastructure projects such as Crossrail and the revitalisation of King’s Cross-St Pancras, and new skyscrapers, even entire new areas, such as the Embassy Quarter and Battersea Power Station south of the river, are transforming the skyline, bringing a certain energy to this thriving metropolis. 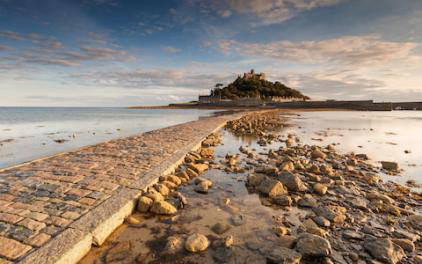 Cornwall is defined by its magnificent coastline, with 300 miles of dunes and cliffs, medieval harbours and oak-forested creeks – all accessible on foot. Bath ticks pretty much all the boxes for a perfect short break. 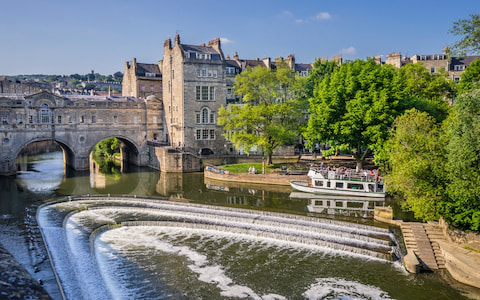 With sweeping, honey-stone Georgian crescents and terraces spread over a green and hilly bowl, it’s a strong contender for England’s most beautiful small city.It has a fascinating and easily accessible history, from the Roman Baths to the life and times of one-time resident Jane Austen. 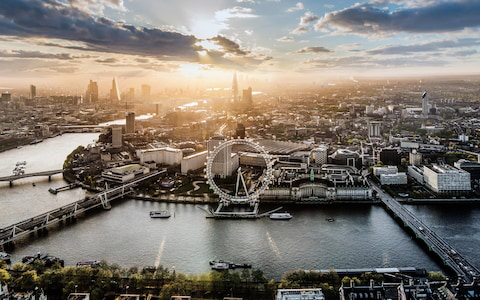 You need never get bored in this lovably eccentric city. The secret is to roam freely and keep your eyes peeled. Sure, Brighton has acquired a certain London sophistication in recent years, but sheeny glamour never wins out here.